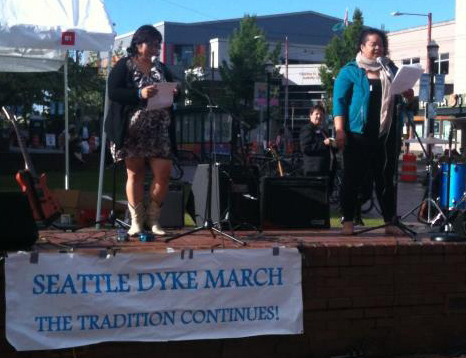 This is the Seattle Dyke March. We create space on our stage to highlight and honor the experiences, pleasures, activism and identities of queer women and dyke-identified people across the gender spectrum, a space that recharges us and allows us to survive and thrive. We welcome and encourage people of all genders and identities to join us in celebration at the rally and on our march. 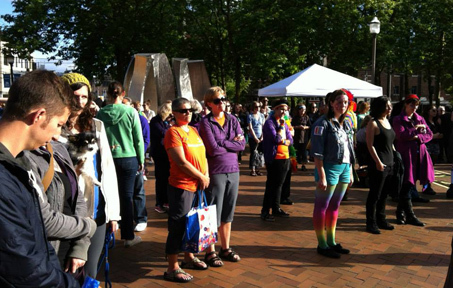 The 2019 Seattle Dyke March is on Saturday June 29th. Rally from 5-7pm at the Seattle Central College Plaza at Broadway Ave E and E Pine St. The March steps off at 7pm to go around Capitol Hill and back to the Plaza. 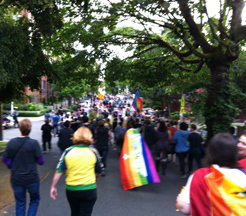 June 29, 2019 - Seattle Dyke March! For more information, please check out our Facebook page or email us. Get in touch for the time and location of our next meeting. © Seattle Dyke March. All rights reserved.